Operation Blue Star was the codename for the attack on the Akal Takhat and the Golden Temple complex during the period June 1 to 6, 1984. The Indian army invaded the Harmandir Sahib complex on the orders of the then Prime Minister of India, Indira Gandhi. At the time of the operation, close to 100,000 army troops had been deployed throughout Punjab. Besides the historic weapons carried by Sikhs, the kirpans and khandas, the group which had fortified the historic Takhat, with rifles, assault weapons & grenades, numbered no more than 250. The Golden Temple, the surrounding Bungas and guest houses and Langar were filled with 2,000 or more pilgrims, guests and employees of the complex. Many had come to visit the Temple on the day associated with the Martyrdom of Guru Arjan. The Army commanders had thought that the size and might of the forces employed to route the Takht's occupiers would convince the Singhs to surrender, but in a long tradition that has seen the Harmandir Sahib sacked and all but destroyed many times in the past, almost all of the Singhs had chosen to stand their ground, to fight and to fall as their historic, legendary Khalsa brothers of the past had done, so many times before, as martyrs defending this holiest site of the Sikh religion from another invasion. In the attack around 1,600 innocent pilgrims, men, women and children, were also killed in the operation which saw the use of heavy artillery, rockets and tanks being employed, as well. More than 3000 soldiers of the Indian army from many different states, were killed during the attack with more than double that number injured. great Shaheed Sant Baba Jarnail Singh Khalsa Bhindranwale. 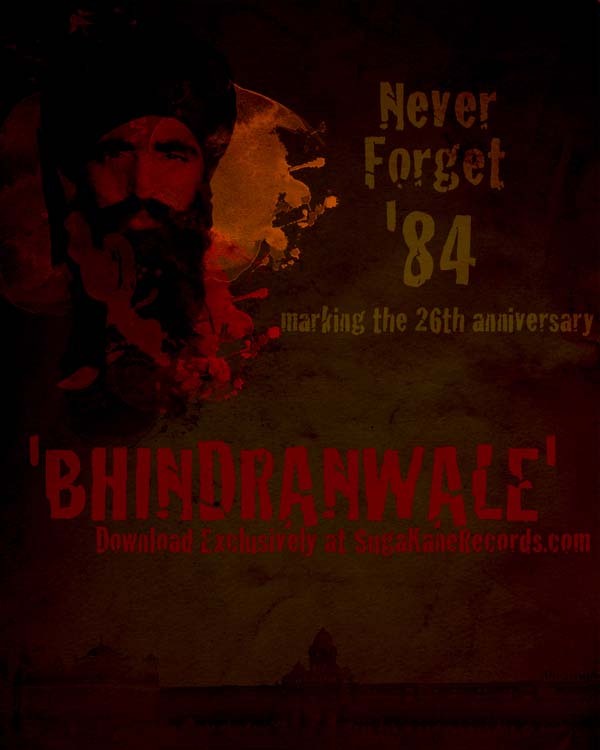 Years since the events of 1984.